The sale includes 2,000 buy-to-let properties as well as farmer and SME loan books. 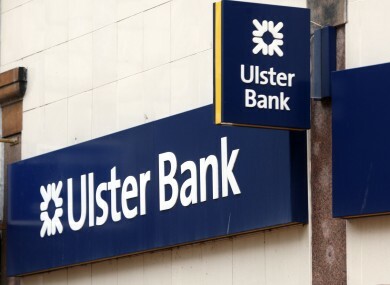 ULSTER BANK IS to sell off 900 family homes as part of a sale of a €2.5 billion property loan portfolio. The bank claims the mortgage holders are on the brink of having their homes repossessed and are already in the court process. It’s believed the mortgages will be bought by foreign funds, namely vulture funds, at a discount price. While Ulster Bank maintains the borrowers existing rights will remain with the sale of their loans, how the home owners will be treated is a matter for the fund who buys the mortgage, who will now be the owner’s point of contact, not Ulster Bank. 95% of the mortgages are two years or more in arrears and 88% in 3 plus years. It said these mortgage holders had not engaged with the banks about their difficulties and have been on the path to repossession for some time. The bank also said it will sell about 2,000 buy-to-let mortgages. It said 65% of the portfolio were business loans. About 5% are agri-loans given to farmers, as well as small and medium businesses. The portfolio has not yet been sold, said the bank. It stated it was announcing the sale this week, but it is expected the portfolio to be sold off by the end of the year. David Hall of the Irish Mortgage Holders Association said he had a meeting with the bank today, where he was told it was a “done deal” and the bank is “open for bids”. He said this was an enormous portfolio to sell to vulture funds, and said he was appealing for Minister Michael Noonan and other elected representatives to step in. “We are talking about 900 families. These are vulnerable people,” he said. Hall called on the bank to engage with the government about the sale and to consult with housing agencies prior to opening up bids to foreign buyers. “This is the first time a mainstream bank has bundled families together to sell off,” he said. Hall said he told the bank they had a “responsibility to the people of this country”. They have a moral responsibility to these people. Independent TD, Michael Fitzmaurice issued an urgent statement about the sale, calling it “indefensible conduct”. The new Government will have to do what they can to stop this carry on by the banks. A major bank have once again giving the two fingers to the Irish people. This bank wants to get out of Ireland and they have sold these loans at the minimum cost but you can be certain that the new owners of these loans will want repayment in full. No consideration at all was given to the people who owe these loans to the bank. He called on the government to pass emergency legislation to prevent Ulster Bank and other banks acting like this in the future. Sinn Féin Finance Spokesperson Pearse Doherty said he has written to Minister for Finance Michael Noonan and to Ulster Bank to ask them to stop the sale. If true, I am disgusted by this move from Ulster Bank especially the inclusion of family home mortgages in distress. I am calling on the bank to stop this sale.At the very least the element of this sale which includes distressed mortgages should be stopped. I believe all political opinion can be united behind that call on Ulster Bank. Email “Calls for emergency legislation to stop Ulster Bank selling 900 family homes ”. Feedback on “Calls for emergency legislation to stop Ulster Bank selling 900 family homes ”.